The MTN BOX®: Spektrum Series SM is easily positioned, pushed, pulled and lifted with the help of heavy duty spring loaded handles. When not in use, the handles snap back into position, snug against the case. 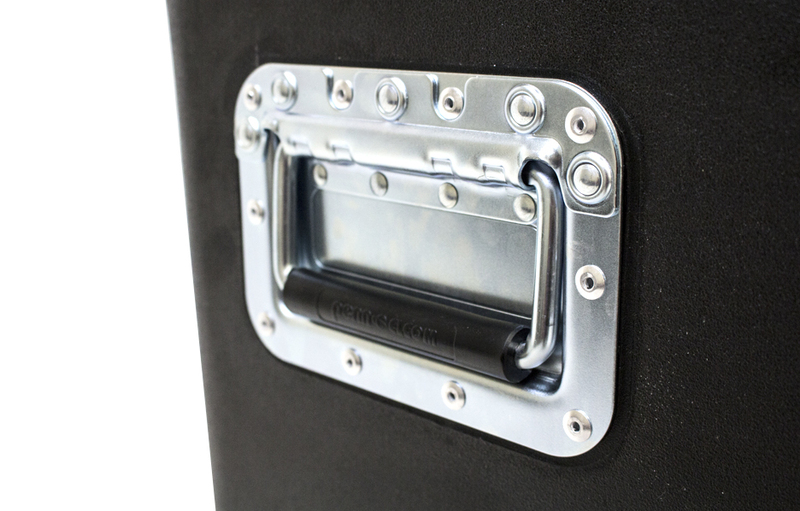 A great benefit of our MTN BOX® cases is that the hardware is all easily replaceable, including the handles.